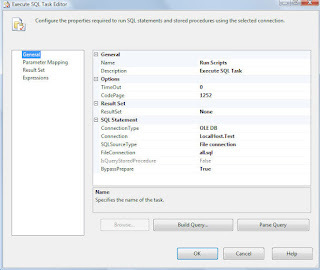 This is fairly easy and simple, the requirement is to loop over a folder full of .sql files, that has some queries and run them on the server! This could be a stress testing queries, create multiple object or drop and recreate indexes queries as in my actual requirement. 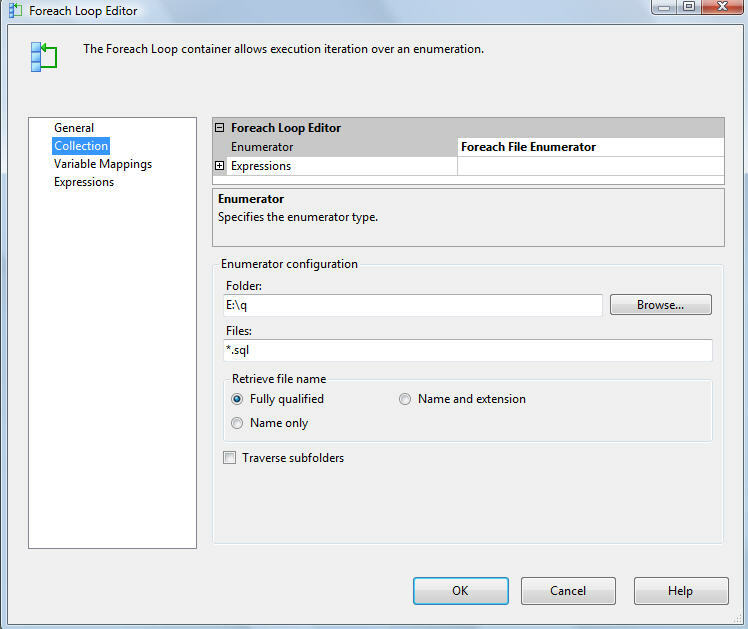 We'll need a "For EachLoop container "to iterate over the folder, read the files' location into a STRING variable. 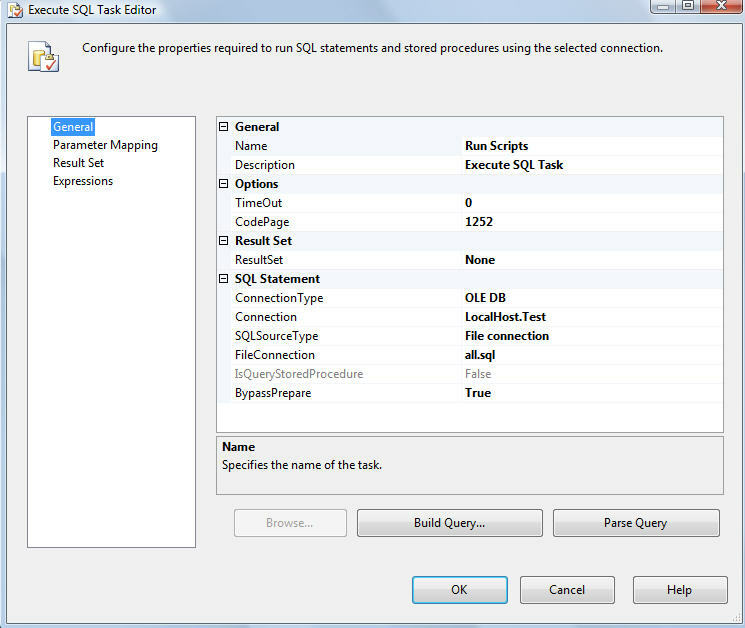 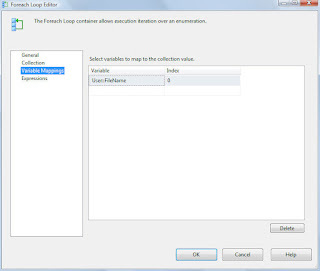 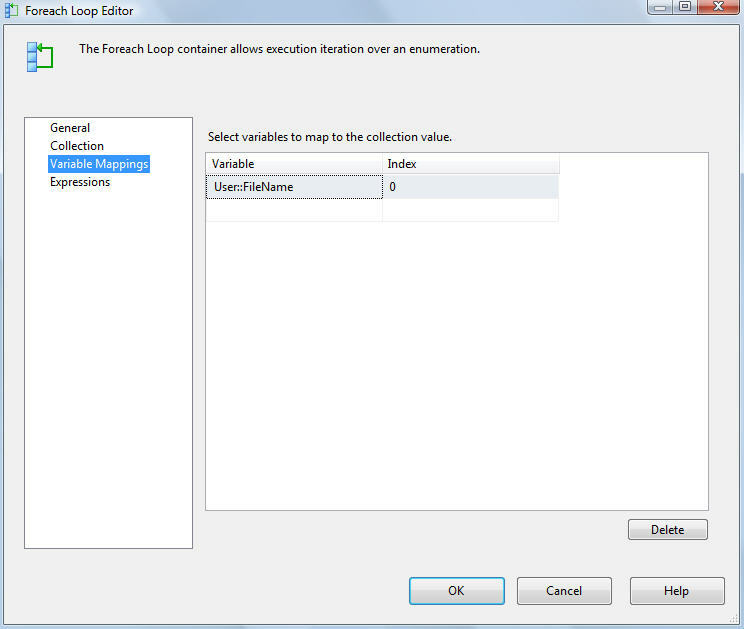 Add a "Execute SQL Task" inside the container, setup the SQL server connection, then setup the query to be from a file connection. 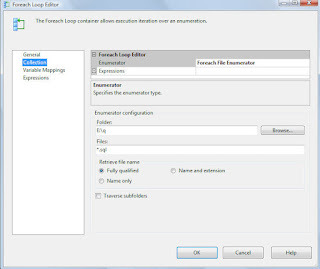 create the file connection, pointing to one of the files. 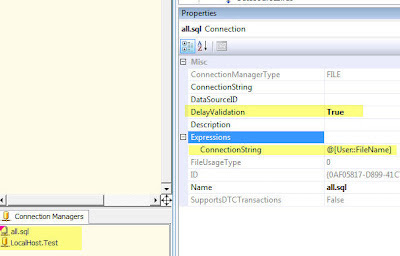 set the delay validation to true, then setup an expression over the Connection String property.